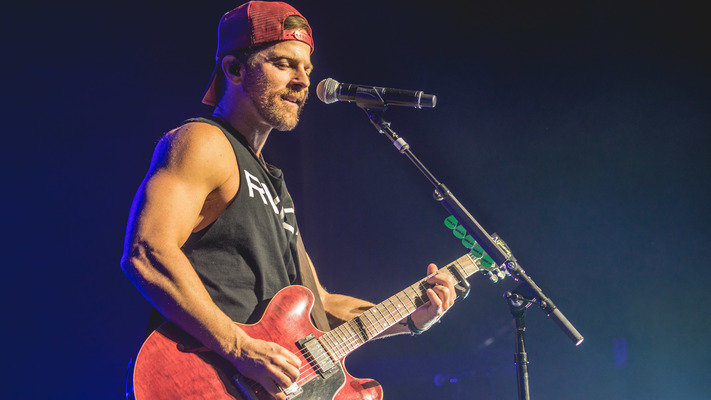 Kip Moore picked up the guitar and began playing during his college years at Wallace State Community College in Hanceville, Alabama. He eventually earned a gold scholarship to Georgia Valdosta State University but music remained a passionate interest. Moore made his first public performance at a local pizzeria chain named Mellow Mushroom, located in Valdosta, Georgia. Shortly after graduating from college, Moore travelled to Hawaii with merely a bag full of clothes and a surfboard strapped to his back where he lived in a "hut" for a short while before making the trek back to the mainland. The next stop on Moore's journey? Music City, Nashville, Tennessee. After landing in Nashville, Tennessee in 2004, Moore starting making a name for himself as a songwriter, placing cuts with artists such as Jake Owen and Thompson Square. With buzz surrounding Moore, he eventually caught the ear of Joe Fisher who signed him to Universal Group Nashville. The label paired Moore up with producer Brett James who would go on to produce Moore's 2012 debut album, Up All Night. This album was home to the anthem defining single "Somethin' 'Bout a Truck" which secured the No. 1 spot on the Billboard Hot Country Songs chart and hit No. 29 on the Billboard Hot 100. Moore's second album Wild Ones was released on August 21, 2015 to an impressive chart debut, landing at No. 4 on the Billboard Top 200. Riding chart success and non-stop touring across the globe, Kip Moore released his third studio album Slowheart on September 8, 2017.